My running buddy took the morning off. It’s not often that I hit the roads without a timepiece strapped to my wrist, so when I stepped onto my front stoop this morning and realized I wasn’t wearing a watch I was a bit surprised. Slightly panicked, actually. I stood on the bottom step of my building for a minute, debating whether or not to go back up the five flights and get it. In the end, I simply started moving. 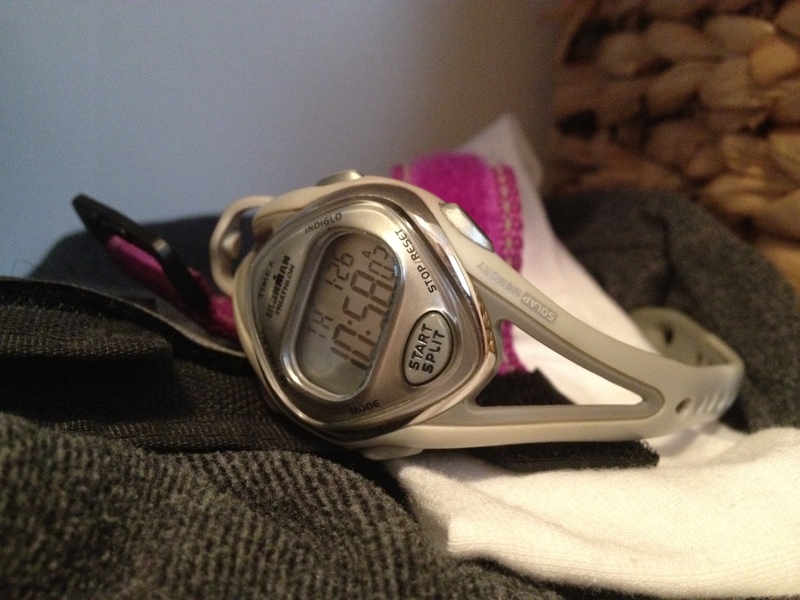 Sure, sometimes I’ll go for a run and I won’t start the chronograph—I’ll just stop when my body tells me to. But I always know what time it is, and I can happily share that info with the world when asked. Which also means, I can always give a rough estimate of how long it takes me to run a certain distance. And I definitely play mind games with those numbers, factoring whether I’m getting faster or not pushing myself hard enough. I have no idea what time it was when I reached the park, and even less of a clue as to what numbers were on the clock when I finished my 4-mile loop. But by the time I made it back up all of those stairs and into my apartment, I forgot all about checking. It’s like time stood still for me today, so that I could have an easy, number-free run and simply enjoy being outside. Thanks, Universe! Do you know exactly how long all of your runs take? Do you ever leave your watch behind?